Kitchen gadgets for those with limited mobility, arthritis, limited hand strength. I realize I’m probably late with this post as far as gift giving goes, but here are the things that really help me in the kitchen when I have an RA Flareup. Maybe you can use the gift cards Santa gives you to make life easier for yourself in the kitchen. 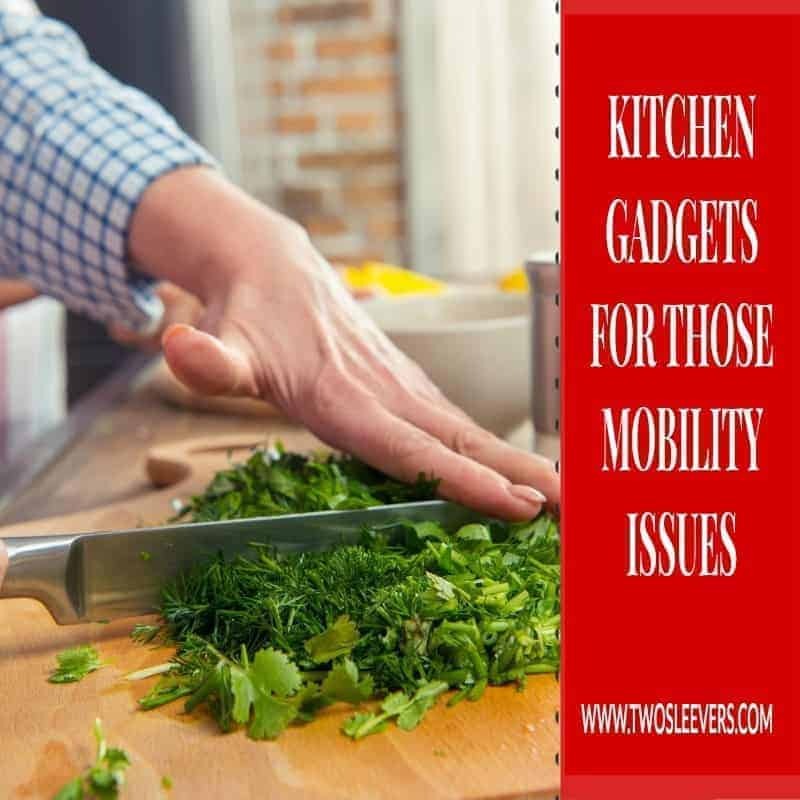 If you know someone who has limited hand/arm strength, has swollen fingers, can’t make “twisty” motions, doesn’t have much finger strength, or is limited in their ability to stand for long periods of time, these kitchen gadgets might be helpful. Disclaimer: All of these are based on what works for ME. I am not qualified to speak as someone who understands anything about Disability Standards. Fast, hands-off cooking and my favorite cooking gadget of all. If you’re looking for Instant Pot accessories, check out My Store that only contains items I’ve personally tried and liked. Fast, hands-off cooking and I do LOVE mine. Slow but hands-off, and relatively idiot proof. Throw in a piece of meat and a few wood chips–delicious meal ready. Keeps me from having to chase several spice bottles and open each one individually. So handy for drink bottles, and thin. I carry one in my purse at all times. Handy when I’m flying and getting drinks at the airport. It does have a button to push but it’s lighter than some of the others on the market. I was worried you’d need a lot of hand strength for this but I don’t. Best way ever to make evenly diced salsa. I also use it for Cucumber koshimbir a lot. I know, I know. Expensive. SO. WORTH. IT. These will be the last knives you ever buy. They allow me to use my whole hand to grip and lift hot items. I have definitely had these save me for months on end. I lived in these during flareups. They really help with the pain.